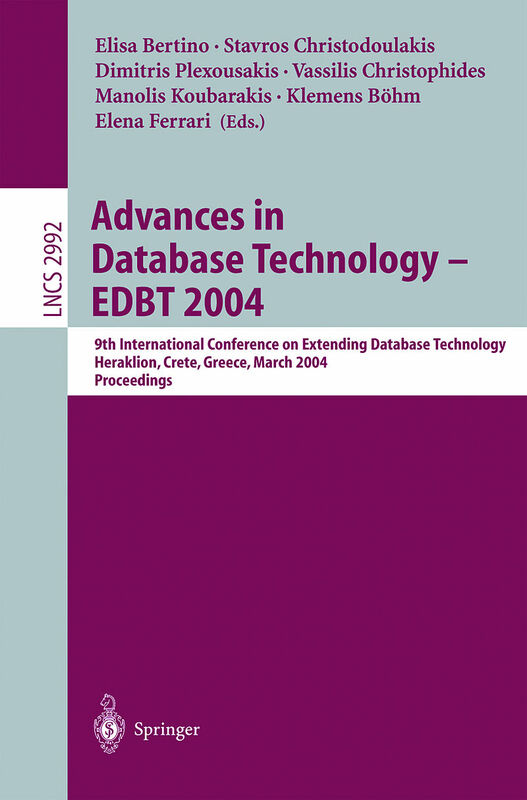 The 9th International Conference on Extending Database Technology, EDBT 2004, was held in Heraklion, Crete, Greece, during March 14-18, 2004. The EDBT series of conferences is an established and prestigious forum for the exchange of the latest research results in data management. Held every two years in an attractive European location, the conference provides unique opp- tunities for database researchers, practitioners, developers, and users to explore new ideas, techniques, and tools, and to exchange experiences. The previous events were held in Venice, Vienna, Cambridge, Avignon, Valencia, Konstanz, and Prague. 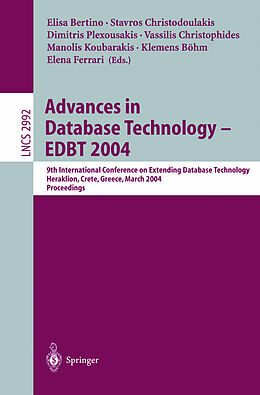 EDBT 2004 had the theme "new challenges for database technology," with the goal of encouraging researchers to take a greater interest in the current exciting technological and application advancements and to devise and address new research and development directions for database technology. From its early days, database technology has been challenged and advanced by new uses and applications, and it continues to evolve along with application requirements and hardware advances. Today&apos;s DBMS technology faces yet several new challenges.  Technological trends and new computation paradigms, and applications such as pervasive and ubiquitous computing, grid computing, bioinformatics, trust management, virtual communities, and digital asset management, to name just a few, require database technology to be deployed in a variety of environments and for a number of di?erent purposes. Such an extensive deployment will also require trustworthy, resilient database systems, as well as easy-to-manage and ?exible ones, to which we can entrust our data in whatever form they are. 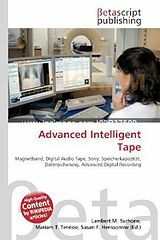 This book constitutes the refereed proceedings of the 9th International Conference on Extending Database Technology, EDBT 2004, held in Heraklion, Crete, Greece, in March 2004. The 42 revised full papers presented together with 2 industrial application papers, 15 software demos, and 3 invited contributions were carefully reviewed and selected from 294 submissions. The papers are organized in topical sections on distributed, mobile and peer-to-peer database systems; data mining and knowledge discovery; trustworthy database systems; innovative query processing techniques for XML data; data and information on the web; query processing techniques for spatial databases; foundations of query processing; advanced query processing and optimization; query processing techniques for data and schemas; multimedia and quality-aware systems; indexing techniques; and imprecise sequence pattern queries. 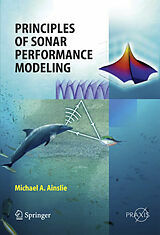 Invited Papers.- Converged Services: A Hidden Challenge for the Web Services Paradigm.- GRIDS, Databases, and Information Systems Engineering Research.- Security and Privacy for Web Databases and Services.- Distributed, Mobile, and Peer-to-Peer Database Systems.- Content-Based Routing of Path Queries in Peer-to-Peer Systems.- Energy-Conserving Air Indexes for Nearest Neighbor Search.- MobiEyes: Distributed Processing of Continuously Moving Queries on Moving Objects in a Mobile System.- Data Mining and Knowledge Discovery.- DBDC: Density Based Distributed Clustering.- Iterative Incremental Clustering of Time Series.- LIMBO: Scalable Clustering of Categorical Data.- Trustworthy Database Systems.- A Framework for Efficient Storage Security in RDBMS.- Beyond 1-Safety and 2-Safety for Replicated Databases: Group-Safety.- A Condensation Approach to Privacy Preserving Data Mining.- Innovative Query Processing Techniques for XML Data.- Efficient Query Evaluation over Compressed XML Data.- XQzip: Querying Compressed XML Using Structural Indexing.- HOPI: An Efficient Connection Index for Complex XML Document Collections.- Data and Information Management on the Web.- Efficient Distributed Skylining for Web Information Systems.- Query-Customized Rewriting and Deployment of DB-to-XML Mappings.- LexEQUAL: Supporting Multiscript Matching in Database Systems.- Innovative Modelling Concepts for Spatial and Temporal Databases.- A Model for Ternary Projective Relations between Regions.- Computing and Handling Cardinal Direction Information.- A Tale of Two Schemas: Creating a Temporal XML Schema from a Snapshot Schema with ?XSchema.- Query Processing Techniques for Spatial Databases.- Spatial Queries in the Presence of Obstacles.- NNH: Improving Performance of Nearest-Neighbor Searches Using Histograms.- Clustering Multidimensional Extended Objects to Speed Up Execution of Spatial Queries.- Foundations of Query Processing.- Processing Unions of Conjunctive Queries with Negation under Limited Access Patterns.- Projection Pushing Revisited.- On Containment of Conjunctive Queries with Arithmetic Comparisons.- XPath with Conditional Axis Relations.- Advanced Query Processing and Optimization.- Declustering Two-Dimensional Datasets over MEMS-Based Storage.- Self-tuning UDF Cost Modeling Using the Memory-Limited Quadtree.- Distributed Query Optimization by Query Trading.- Query Processing Techniques for Stream Data.- Sketch-Based Multi-query Processing over Data Streams.- Processing Data-Stream Join Aggregates Using Skimmed Sketches.- Joining Punctuated Streams.- Analysis and Validation Techniques for Data and Schemas.- Using Convolution to Mine Obscure Periodic Patterns in One Pass.- CUBE File: A File Structure for Hierarchically Clustered OLAP Cubes.- Efficient Schema-Based Revalidation of XML.- Multimedia and Quality-Aware Systems.- Hierarchical In-Network Data Aggregation with Quality Guarantees.- Efficient Similarity Search for Hierarchical Data in Large Databases.- QuaSAQ: An Approach to Enabling End-to-End QoS for Multimedia Databases.- Indexing Techniques.- On Indexing Sliding Windows over Online Data Streams.- A Framework for Access Methods for Versioned Data.- Management of Highly Dynamic Multidimensional Data in a Cluster of Workstations.- Imprecise Information and Approximate Queries.- Spatiotemporal Compression Techniques for Moving Point Objects.- Non-contiguous Sequence Pattern Queries.- Industrial Papers.- Mining Extremely Skewed Trading Anomalies.- Flexible Integration of Molecular-Biological Annotation Data: The GenMapper Approach.- Demo Papers.- Meta-SQL: Towards Practical Meta-Querying.- A Framework for Context-Aware Adaptable Web Services.- Aggregation of Continuous Monitoring Queries in Wireless Sensor Networking Systems.- eVitae: An Event-Based Electronic Chronicle.- CAT: Correct Answers of Continuous Queries Using Triggers.- Hippo: A System for Computing Consistent Answers to a Class of SQL Queries.- An Implementation of P3P Using Database Technology.- XQBE: A Graphical Interface for XQuery Engines.- P2P-DIET: One-Time and Continuous Queries in Super-Peer Networks.- HEAVEN: A Hierarchical Storage and Archive Environment for Multidimensional Array Database Management Systems.- OGSA-DQP: A Service for Distributed Querying on the Grid.- T-Araneus: Management of Temporal Data-Intensive Web Sites.- ?-Synopses: A System for Run-Time Management of Remote Synopses.- AFFIC: A Foundation for Index Comparisons.- Spatial Data Server for Mobile Environment.